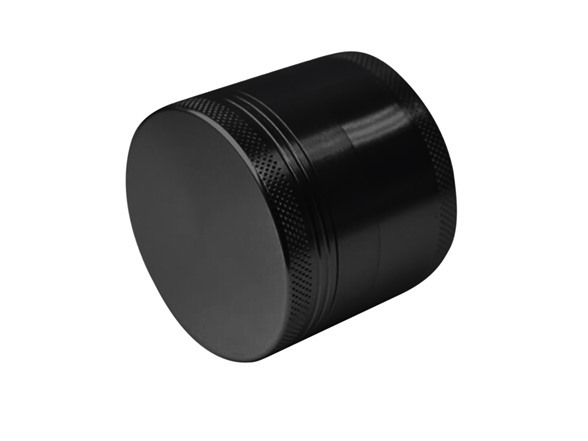 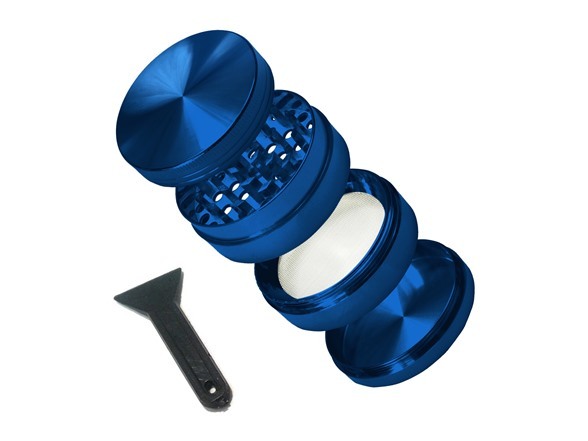 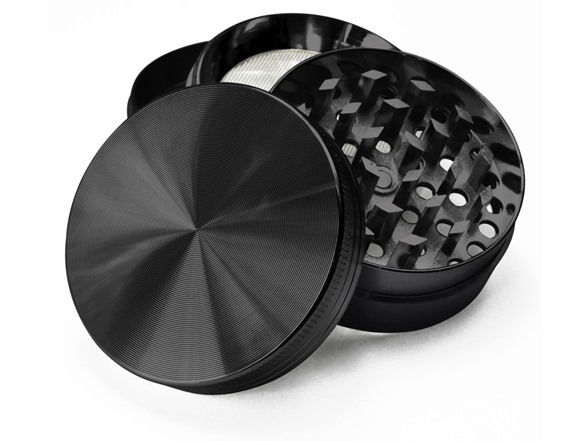 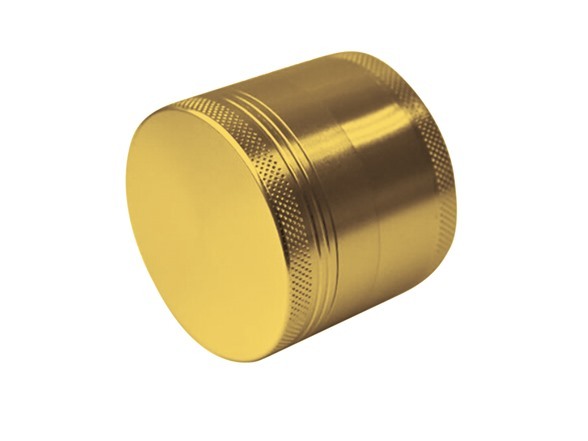 Premium grinders featuring a 2 inch diameter of superior quality anodized titanium alloy with a textured finish for ultimate grip and comfort. 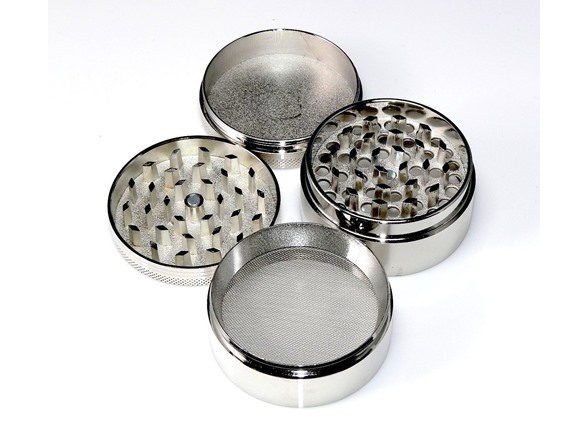 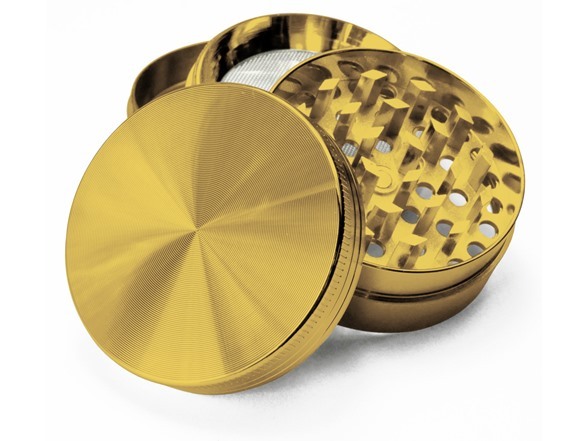 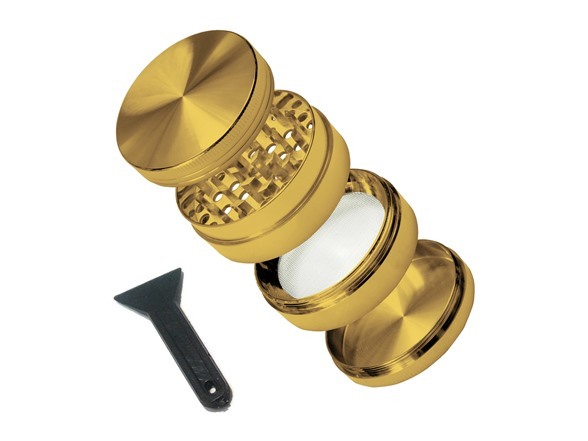 The grinder features 4 separate pieces and 3 chambers along with a bonus pollen pick for ultra fine powdered herb found in the bottom chamber. 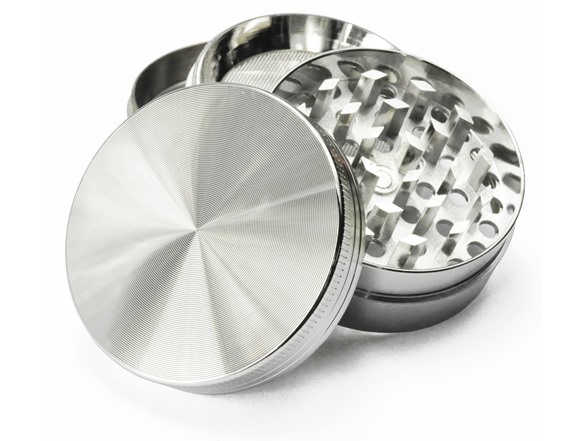 The top chamber features 55 precision diamond cut teeth that are perfectly spaced down to the nanometer to create a fine consistent ground herb. 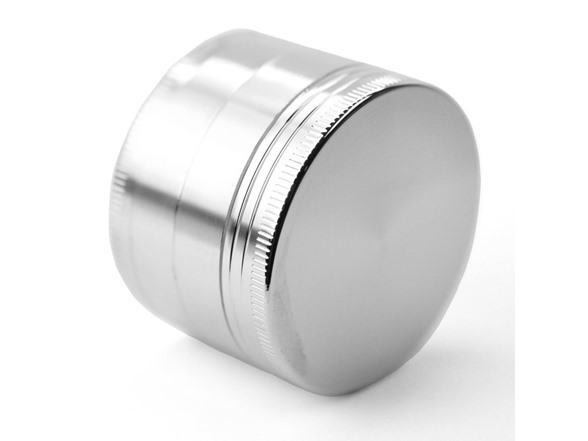 The magnetized lid ensures it stays closed to reduce spilling while a smooth poly-O ring provides absolutely effortless and frictionless grinding. 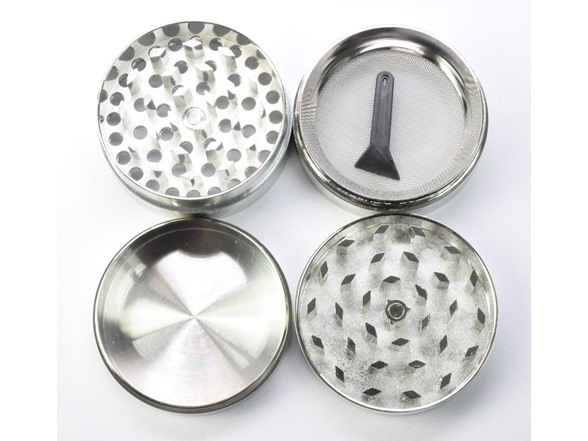 The second chamber features an unbreakable mesh screen to hold herb and filter out ultra fine pollen down into the third chamber.